Secure your kid with this Baby Trend flame retardant infant car with part impact safety. 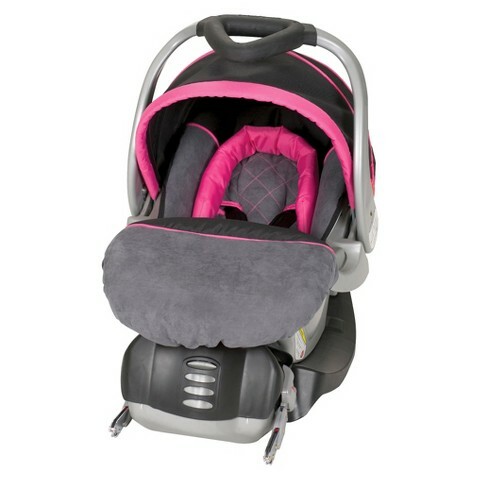 Showcasing vibrate pink feature with smooth suede material and detachable head support, your small one will be peaceful and rest away under the storage area canopy. This car seat arrives with base and detachable boot. With same suede materials, the boot is detachable suitable for hot and cold climate. The base has 4 lying place and rigid LATCH to safely place the entire car seat in the car. The optimum weight is 30 pound. Rear Facing:Minimal Weight: 5 Lb. ; Optimum Weight: 30 Lb. Highest Height: 50 "